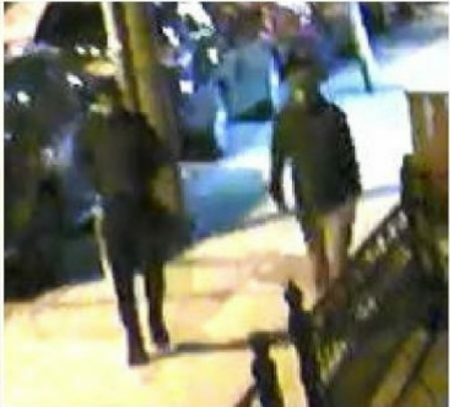 Police are searching for two suspects who stomped on a man’s head as part of a violent robbery in Ridgewood earlier this month. The men allegedly attacked their 37-year-old victim at about 5 a.m. on Sunday, Nov. 18, while he was walking home along Harman Street, between Woodward and Onderdonk Avenues. The pair then pushed the victim from behind and knocked him to the ground. They then stomped on his head before removing his wallet and fled the scene. The victim was taken to Elmhurst Hospital and treated for a laceration and swelling above his left eye. Anyone with information pertaining to this incident is asked to call the 104 Detective Squad at (718) 386-2723. Police are searching for a bicyclist who rode into a woman on a Ridgewood street, breaking her arm, and fled the scene last week. The parking lot next to the Forest Park Bandshell will transform into a recycling drop off station later this month for a bi-annual recycling and donation event. A group of Ridgewood tenants and several elected officials gathered Saturday to protest a prominent Queens-based landlord, calling out the company’s alleged history of harassment and neglect. The Department of Parks is planning a new Glendale entrance and walkway for Forest Park in a much scaled-down version of what was initially proposed. Police are continuing to search for a Ridgewood man who went missing on Tuesday evening. An EMT training program offered at Ridgewood’s Grover Cleveland High School was almost scrapped due to budget cuts–until it got some last-minute funding through Council Member Robert Holden’s office. Glendale’s Redeemer Lutheran School will be shutting its doors this year after more than 60 years in operation. Animal Care Centers of NYC has rescued 32 cats from a Maspeth home after the house caught on fire two weeks ago. Police are continuing to search for a Glendale man who has reportedly been missing for two days.